Since 2013, the Russian government increased the fee for emissions through flaring more than 5% of the associated gas volume. These are the second most important anthropogenic greenhouse gas emissions. Russia refused to participate in the second period of the Kyoto Protocol and in the JI projects. Therefore, it needs incentive tools for gas utilization projects at the national level. According to official statistics, Russia has produced 65.4 billion cubic meters of associated petroleum gas (APG) in 2010. 24% of this gas, 15.7 billion cubic meters, was burned in flares. At the same time, the World Bank data based on satellite research give much higher amount of flaring in Russia, more than 35 billion cubic meters. The global volume of associated gas flared and released to the atmosphere is 140 billion cubic meters per year (this is about 30% of total gas consumption in the EU). Economic losses from the inefficient use of the associated gas reach $ 35 billion. The countries of Europe and Central Asia, including Russia, lose about 60 billion cubic meters per year. According to experts, Russia’s share is up to 25% of global associated gas flaring. Measures to reduce emissions of associated gas have been implemented in Russia for many years. This year, apart from the new regulation, amendments to the Federal Law "On Gas Supply in the Russian Federation" entered into force in Russia. These amendments are intended to "create conditions for organizations engaged in mining and processing of gas, to use it effectively, and to reduce emissions of harmful pollutants produced by burning it." The Federal Law "On Gas Supply in the Russian Federation" has been supplemented by the rules, according to which the priority access to capacities of gas transmission and distribution networks is provided for the transport of the stripped dry gas produced in the processing of associated gas, one of the most common ways of its utilisation. This rule is also considered by lawmakers as an additional incentive to reduce emissions. According to them, the law will contribute in implementation of requirements for the acceptable levels of gas flaring. Under the new requirements, excesses of the maximum allowable volumes of associated petroleum gas will result in higher multiplying factors to be applied to the regulatory payments for emissions. In 2013, this additional factor is 12 (that is, almost three times greater than in the previous year); in 2014, the factor will reach 25. 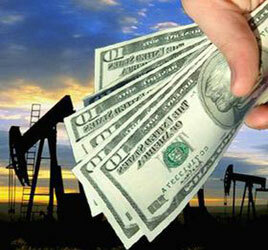 At the same time, companies are exempt from the obligations on the gas utilization at almost depleted oil fields. However, if the field is not equipped with meters for oil volumes, the multiplying factor increases up to 120. According to estimates by industry experts, the amount of payments of oil companies for harmful air emissions increased by 50 times in 2012 and amounted to 16.7 billion roubles. By January 1, 2012, when "antiflaring" sanctions began to act in Russia, none of the companies have reached the set utilization level. By the beginning of this year, two Russian companies - Tatneft and Surgutneftegaz - utilize 95% of associated gas at existing oil fields fitting the set regulation. The lowest rate of utilization was recorded at Rosneft company. Other oil companies are still far from reaching the regulation. It is noteworthy that projects for utilization of associated gas were permanent leaders in the Sberbank competition for Kyoto projects. Unfortunately, Russia's position relative to the second period of the Kyoto Protocol did not leave room for development in this direction. Joint implementation projects had no time to be fully developed, while the oil industry needs technological and financial support for associated gas utilization and emission reductions.